MOONS’ To Power Port of Savannah! Georgia Ports Authority to install LED lighting from Bright Light Systems Powered by MOONS’. Shanghai, CN. August 9, 2017. Shanghai MOONS’ Automation Control Co., Ltd (MOONS’), a Shanghai based manufacturer of high performance LED drivers, switching power supplies and lighting control systems has been selected by Bright Light Systems (BLS) to power their NOVA Series of High Mast Luminaires. Moons’ LED drivers were selected being “best-in-class” and the capability to function in rigorous applications. The Port of Savanah (GA) is the largest single container terminal in the USA, with direct rail and road access, making the Port the third largest in the USA. 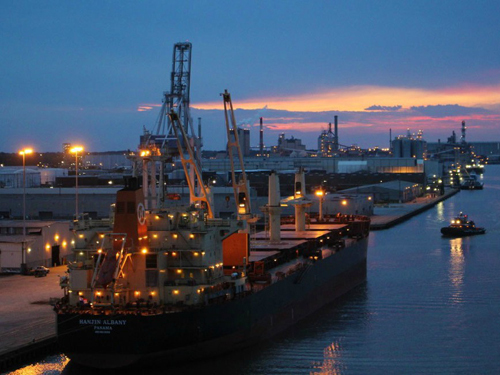 Ocean Terminal is the Port of Savannah’s dedicated break-bulk and Roll-on / Roll-off facility that covers over 200 acres (1214 mu) and provides more than 1.4 million square feet (130064 square meters) of covered, versatile storage for its customers.